The Semaphore Foreshore Reserve hosts the annual Semaphore Music Festival this October long weekend, Saturday 1st October - Monday 3rd October 2016. If you haven't been before then make sure you do this year because the whole family will love it. 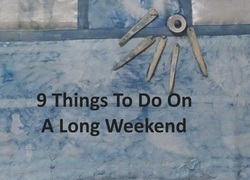 Or perhaps get the kids babysat and enjoy a date day/night or fun weekend with friends. Throughout the weekend enjoy headlining acts like Dave Graney 'n' The Coral Snakes and Archie Road along with craft beer and wine, food trucks, the new artist market and carnival rides for the kids. Three days of concerts are held on the Foreshore Reserve with specific themes to suit all walks of life. RAWKFEST showcases the next wave of emerging rock, pop and punk acts, presenting emerging and established indie acts. ON THE BEACH concert presents original alternative Country, Roots, Blues and Acoustic artists with award winning interstate guest acts. SEMAPHORE SONGS, will be a family friendly community event presented on the Foreshore Reserve Main Stage over the weekend and Monday. It will feature SA singer/songwriters who have composed a song inspired by the area’s rich history, characters and folklore. Register to attend through the Semaphore Music Festival website and get up to date notifications and rewards. An entry fee will be charged on Saturday and Sunday, purchase tickets online here. General tickets range from $15.30 to weekend passes for $30.30. Archie Roach tickets $49.80 with strictly limited seating.